Annual Thanksgiving Raffle with The Perecman Firm, P.L.L.C. The Latino Club has been involved in parades such as the National Puerto Rican Day Parade in Manhattan and Columbus Day Parade. The Carpenters Latino Club, as in the past, present and in the future will be promoting the United Brotherhood of Carpenters Labor Movement. Our Club events have been the New York City Five Boro Bike Tour for the Memorial Sloan Kettering Children’s Cancer Unit, Annual Billiards Tournament and Toys for Tots Drive and more soon to come events. Our community service events include the donation of time and labor by our Brothers and Sisters at the Davidson Community Center in the Bronx, the Juan Aponte Gym, the Tatiana Community Center for the kids, the Music With a Message Youth Band Renaissance, The International Christian Center in Staten Island and the Teen Challenge/ Wilkerson Hall Project. We are currently working with the Habitat for Humanity for upcoming volunteer projects. We want to thank all our members who have participated in the past events. Also like to thank our sponsors for their generous donations and support to all our charities. We ask our members to bring new ideas and events to the Latino Club and also join us in participating in our many events to help our club grow. Our goal is to secure our bond and create new friendships. We extend our hand to any charitable organization that are in need of labor to please contact us info@ubclatinoclub.org. 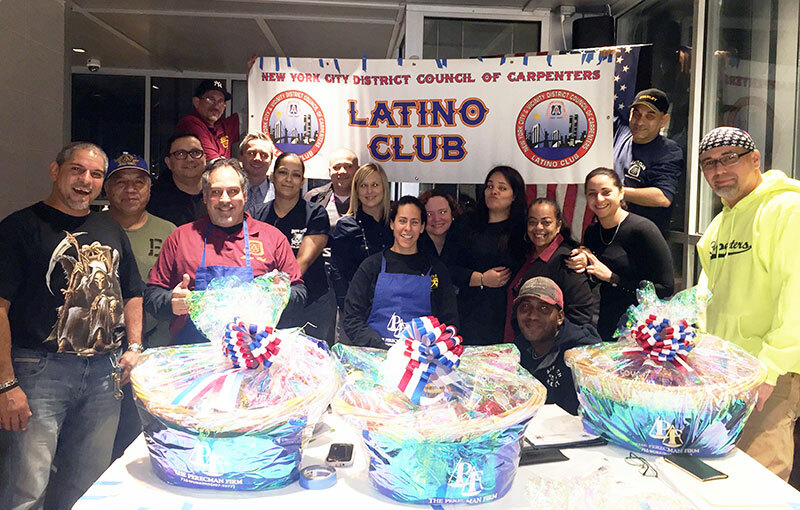 From the Executive Board of New York and Vicinity Carpenters Latino Club, we thank you. It is mandatory for all executive members to be at least 1/2 hour prior to the Monthly Members Meeting to review the agenda. Executive meetings will be held every second Thursday of the month. The executive committee reserves the right to terminate any member who has been absent from the meetings for more than 3 times without reason. Each committee member must give adequate notice when resigning their post to the club. Our Communications Committee is looking for volunteers to help us with event organizing, telephone banking, advertising the club by posting newsletters and flyers on the job sites and at locals; help with members meetings and help with raffles. Any member interested in becoming part of our communication committee, feel free to come to our monthly meeting or contact Cecilia Baez Raymond 646-544-8114 or Eddie Herrero at 516-903-7372.